curry leaves rice recipe | karuveppilai sadam | karibevu chitranna with detailed photo and video recipe. 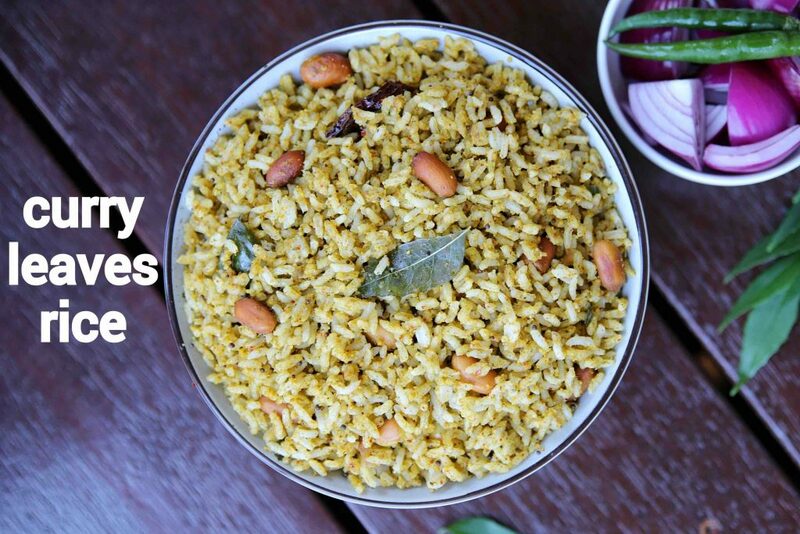 an easy and tasty flavoured lunch box recipe made with bunch of curry leaf and cooked rice. 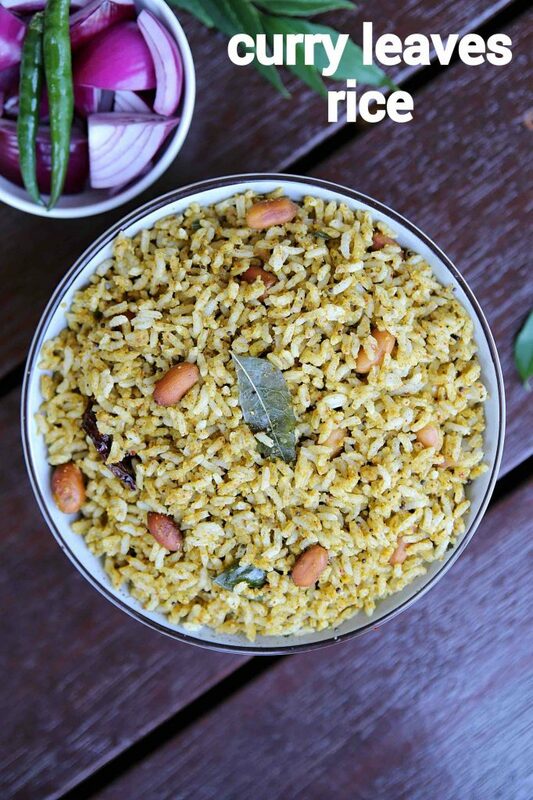 it is an popular rice recipe made especially in south india and served for lunch and dinner. typically it does not require any supporting side dish for this recipe, but tastes good when served with yoghurt raita or dal recipes. curry leaves rice recipe | karuveppilai sadam | karibevu chitranna with step by step photo and video recipe. lunch box recipes are the most common requested recipes i get frequently. most of the readers ask for something easy and quick yet it delivers the required taste, nutrient and also filling. 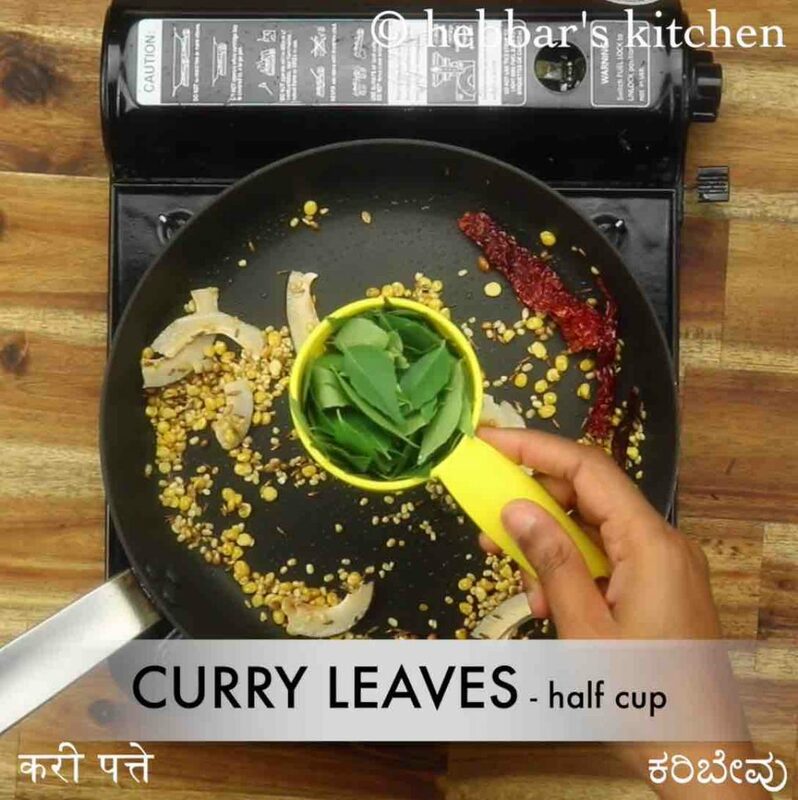 one such our own south indian cuisine recipe made with bunch of curry leafs is known as curry leaves rice recipe. 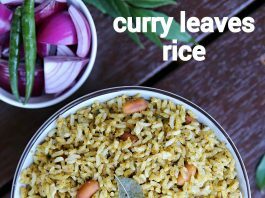 even though the recipe is known as curry leaves rice, it is actually made with different spices and lentils which makes it tasty and flavourful. 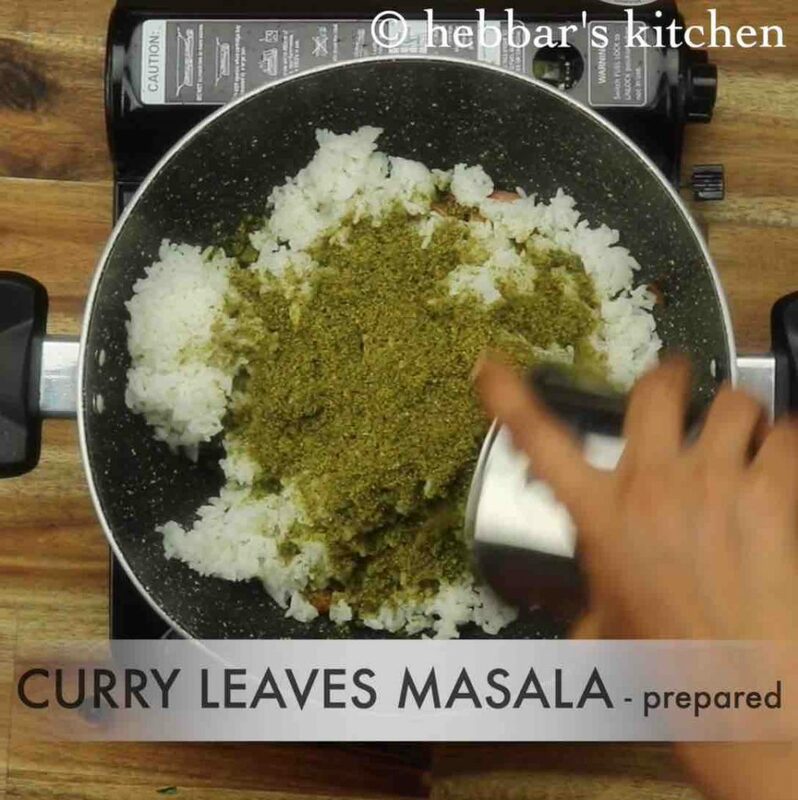 but the abundant use of curry leaves with the spices makes it unique and gives the name to this recipe. 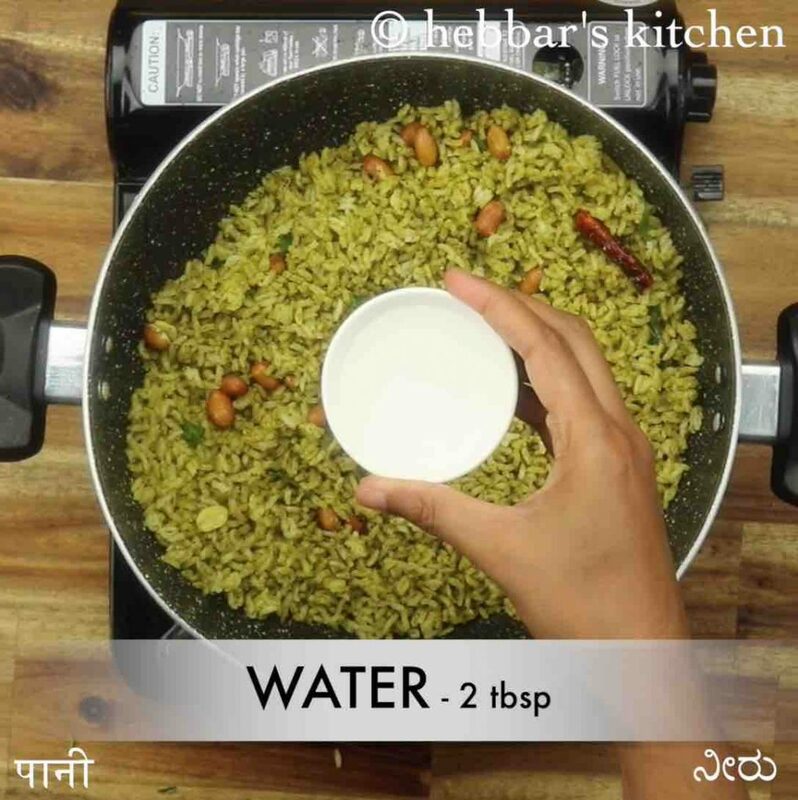 moreover it also gives a bright green colour to the rice recipe. 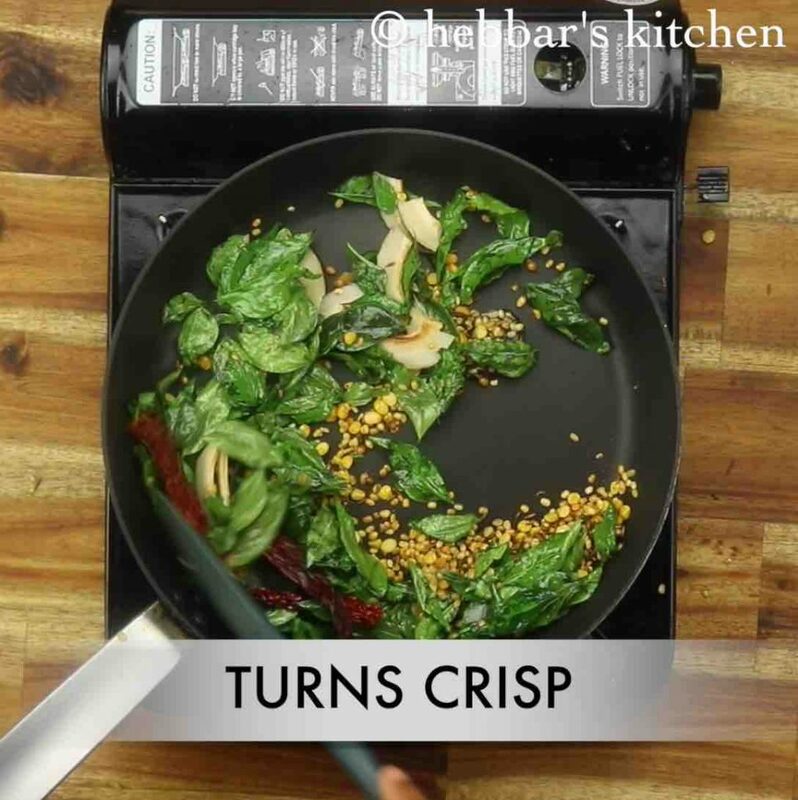 having said that there are many other variations to this recipe which is made with just curry leaves and red chillies. i personally like the former one with the combination of lentils, coconut and curry leaves which makes it filling, tasty and flavoured one. 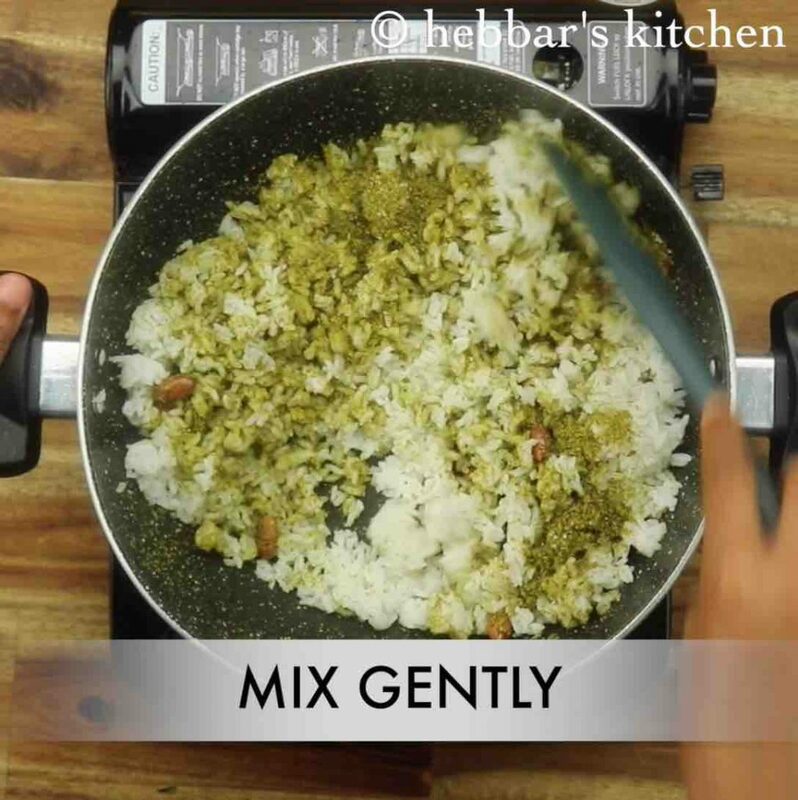 some easy and important tips with variations to the curry leaves rice recipe. firstly, i have used sona masuri rice for the mixing with the curry leaves and lentil spice powder. well i would heavily recommend to used the same as it mixes properly when compared to other premium rice like basmati. secondly, i would heavily recommend to use fresh curry leaves to make this spice mixture. do not compromise on it and be generous while adding these fresh curry leaves. lastly, recipe tastes better when served next day as the rice absorbs the spice mix thoroughly. hence i would recommend to plan the dish well ahead in advance like overnight for next day lunch box. 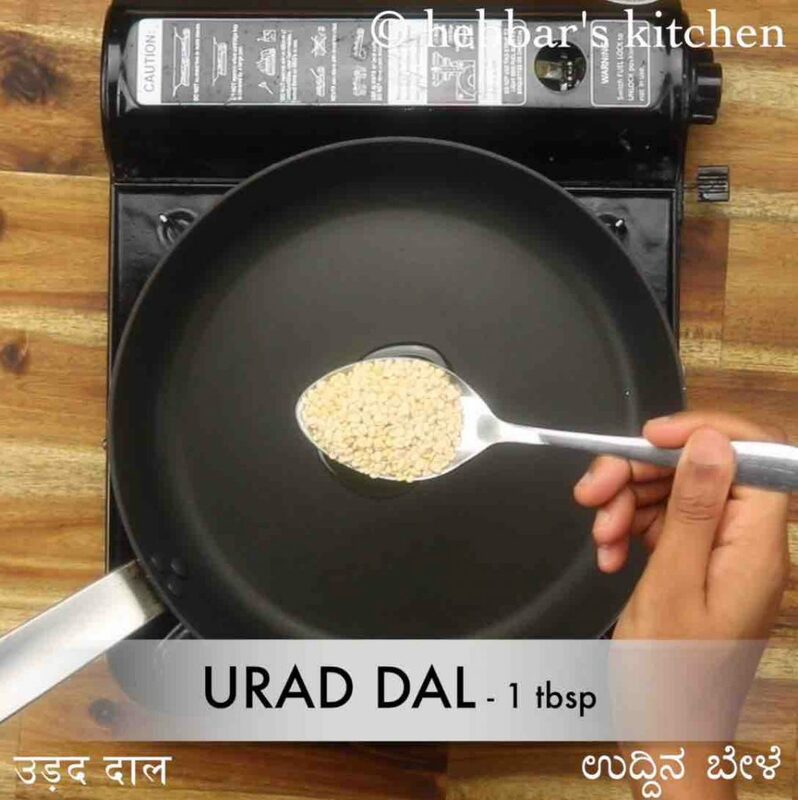 firstly, prepare the masala powder by heating 2 tsp oil and add 1 tbsp urad dal, 1 tbsp chana dal. also add ½ tsp coriander seeds and ½ tsp jeera / cumin. roast until the dal turns golden brown. 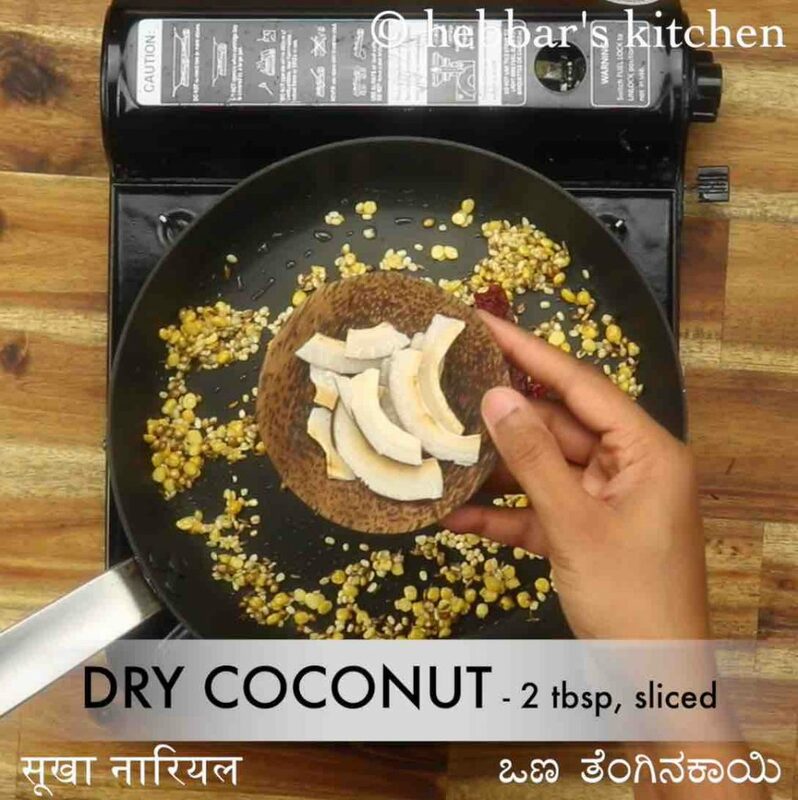 further add 3 dried red chilli, 2 tbsp dry coconut, small ball sized tamarind and continue to roast on low flame. now add ½ cup curry leaves and roast on low flame. cool the spices completely and transfer to the small blender. 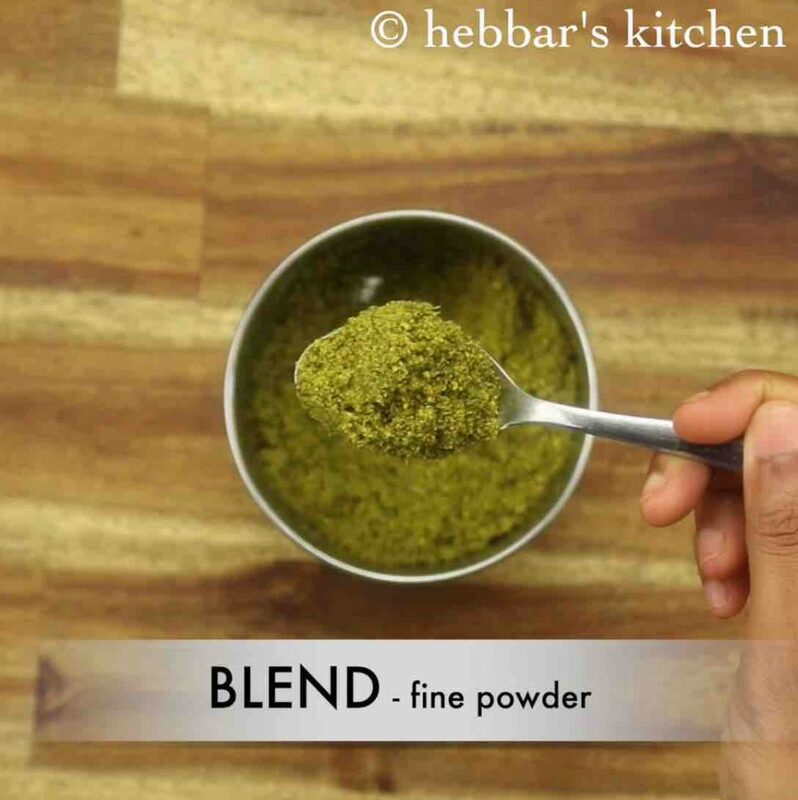 blend to smooth powder without adding any water. curry leaves masala powder ready. 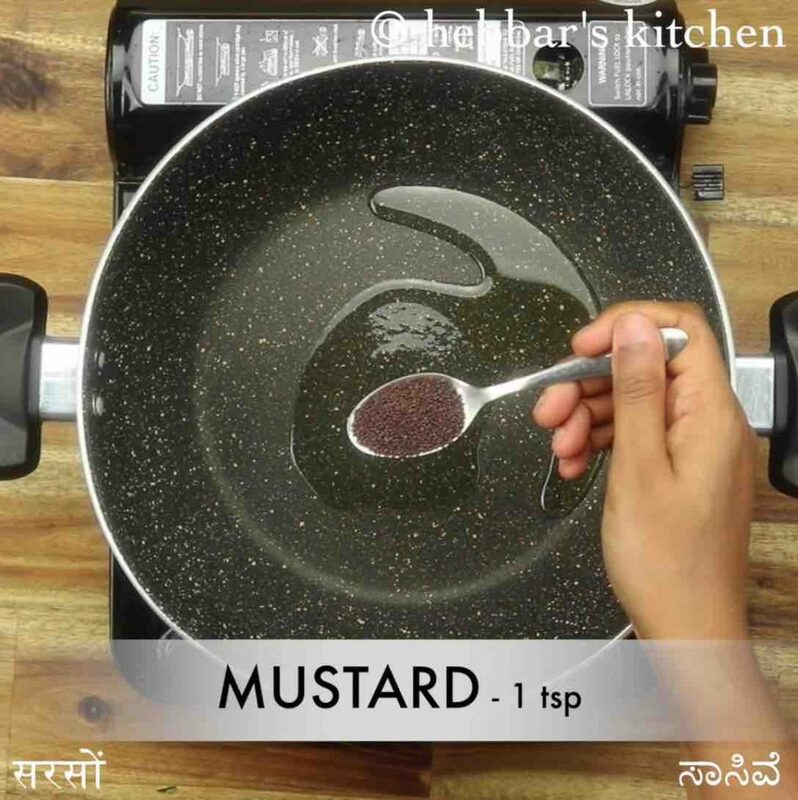 now in a large kadai heat 3 tsp oil and add 1 tsp mustard, 1 dried red chilli, pinch hing and few curry leaves. also add 2 tbsp peanuts and splutter the tempering. 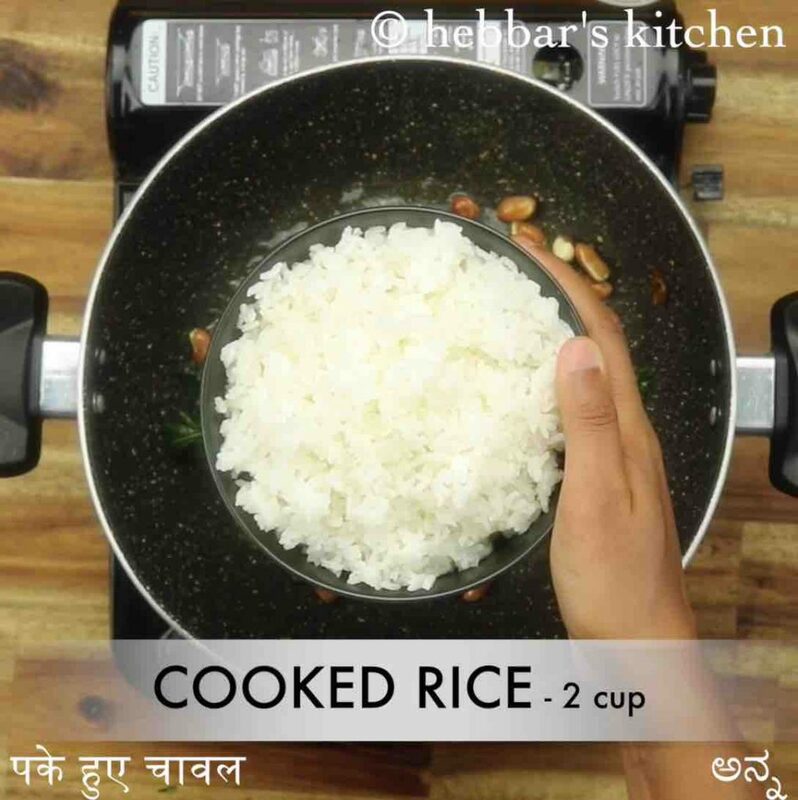 further add 2 cup cooked rice. make sure to use leftover rice or cool the rice completely. also add prepared masala powder and 1 tsp salt. mix well making sure the spice powder is combined well. further add 2 tbsp water and mix gently. 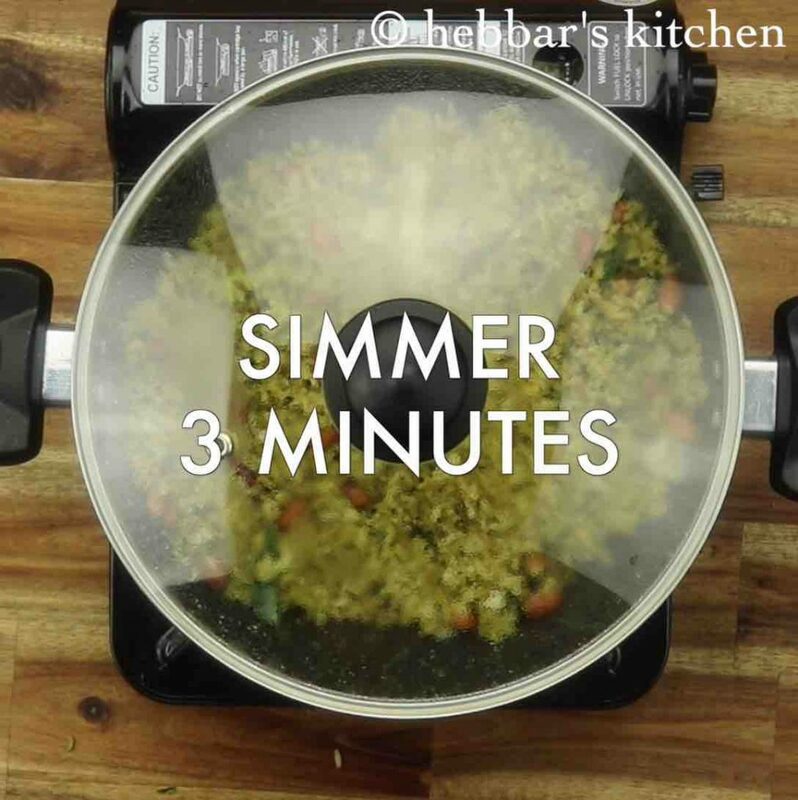 cover and simmer for 3 minutes, or until the flavours are absorbed completely. finally, enjoy curry leaves rice recipe with raita. 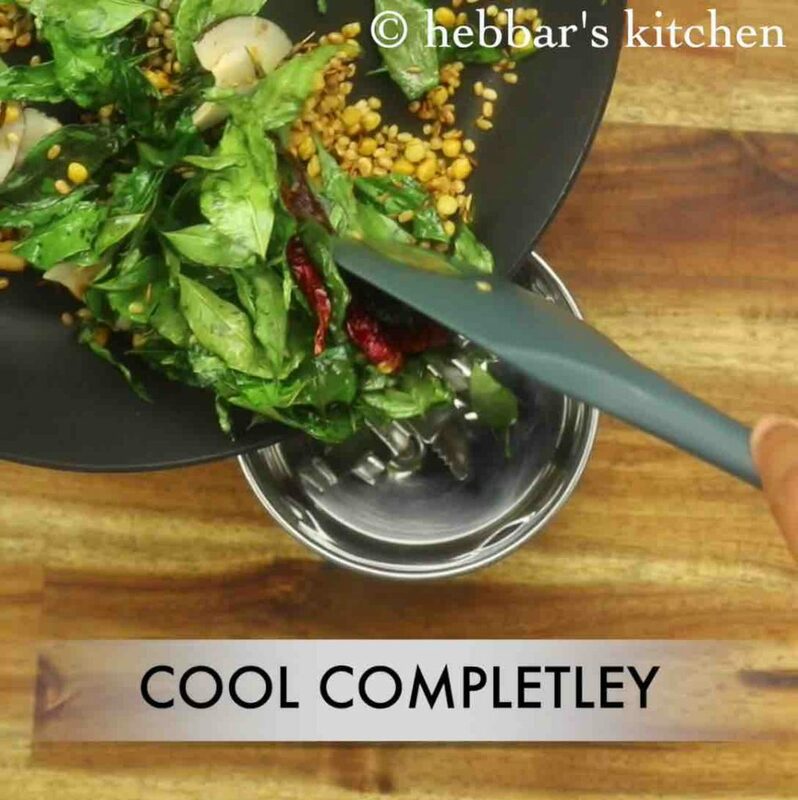 also, add ½ tsp coriander seeds and ½ tsp jeera / cumin. roast until the dal turns golden brown. also, add 2 tbsp peanuts and splutter the tempering. further, add 2 cup cooked rice. make sure to use leftover rice or cool the rice completely. 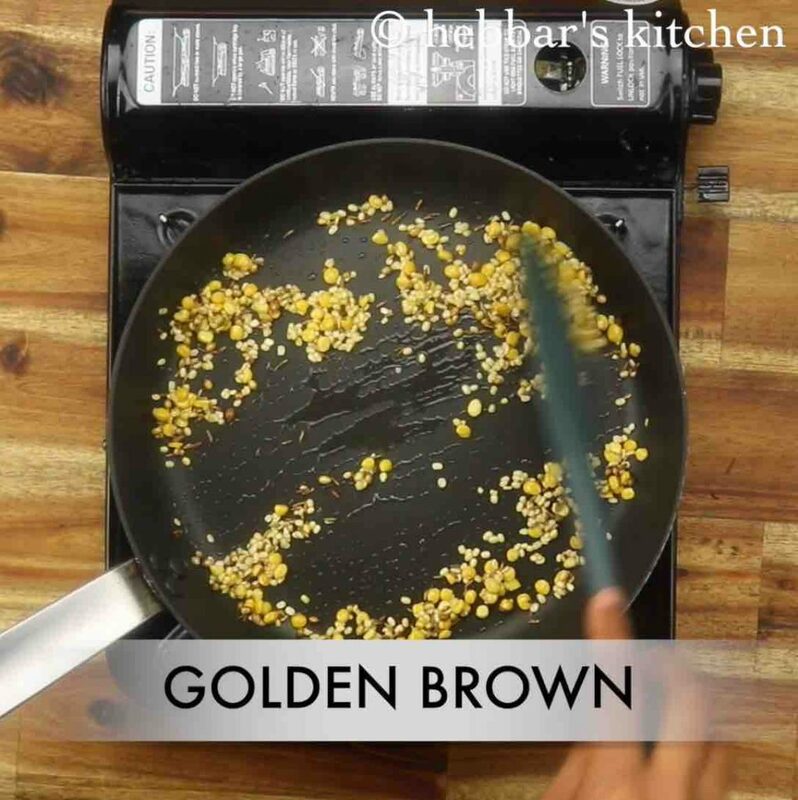 also, add prepared masala powder and 1 tsp salt. further, add 2 tbsp water and mix gently. firstly, you can prepare the masala powder well in advance and store for at least a month. also, adding coconut is optional. however, it adds the flavour. 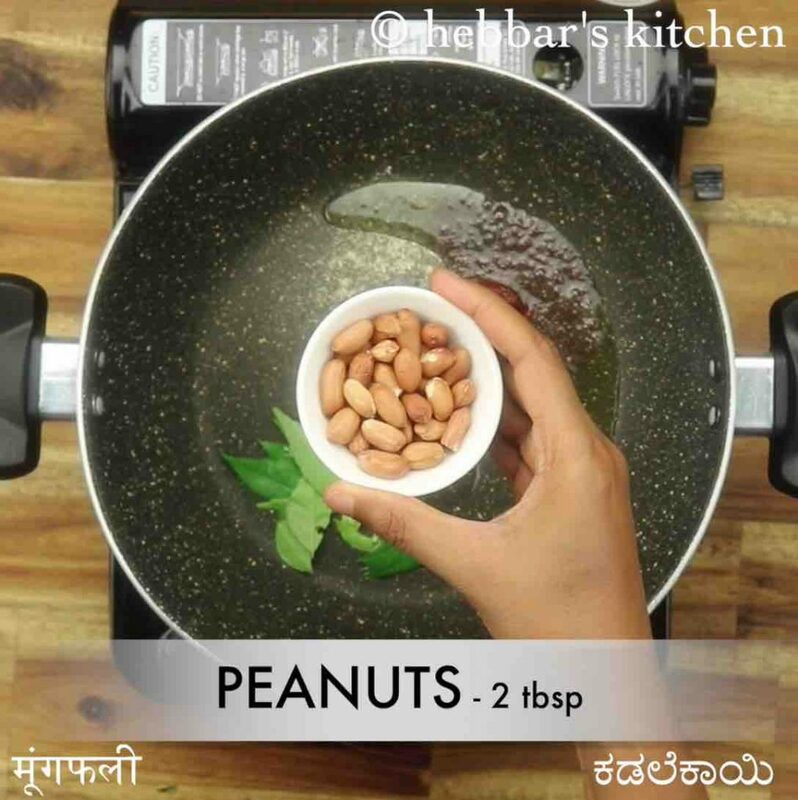 additionally, add cashew instead of peanuts for a variation. finally, curry leaves rice recipe tastes great when prepared with leftover rice.